Live music, open studios, and live demonstrations all night! Open studios and demonstrations all night! Located at 1109 Maunakea St, Honolulu, HI 96817. 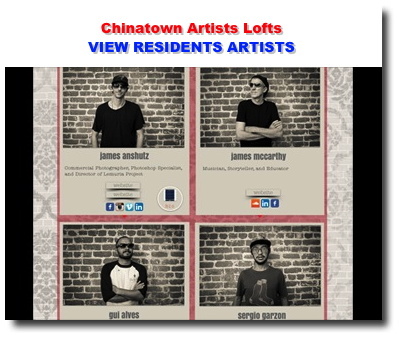 The Chinatown Artists Lofts began in 2010 with the collaboration between Rich Richardson with The Arts at Marks Garage and HAPA, along with the building Owners Ernie and Jodee Hunt. The artist lofts are comprised of 11 live/work units (with 9 more units coming soon!) and the open studio which is comprised of individual offices and a shared performance/studio space. A unique community that thrives on its tenants creative vision and collaboration. Prospective residents are required to submit portfolio and be making the majority of their income from their art or creative profession. Occassionally office spaces (with commom area studio) are available from $400/month, and the live/work studios that range from $1200 to $2500 per month. Our residents range from business owners to classically trained artists, and everything in between. Each studio is a blank canvas for each resident to transform into their home and working studio. Most of the units are open for viewing every first friday of the month, so please come down and check it out. For more information on the artists visit the resident artists page or the contact page for information regarding leasing availibility or media inquiries. Click here to view resident artist. The historic Joseph P. Mendonca Building was one of the first built after the infamous Chinatown fires at the turn of the last century. 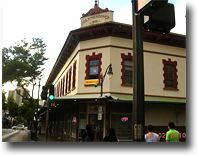 The 1901 Mendonca Building is located on the central metropolitan bus corridor of Hotel Street and across from the landmark Maunakea Marketplace located between Smith Street and Maunakea Street. 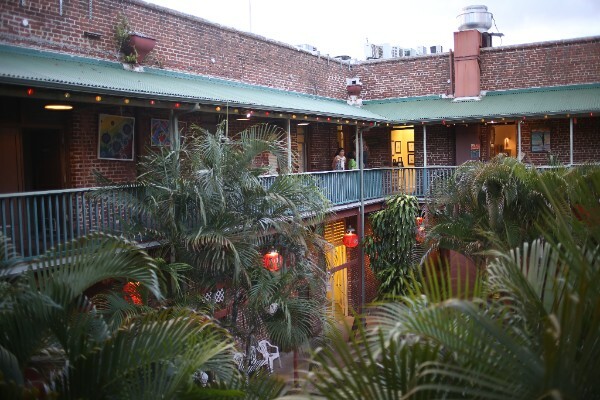 The Chinatown Courtyard, located at 1116 Smith Street, is a beautiful garden location with koi ponds, waterfalls, seating areas for the restaurants, and a lush tropical landscape. A unique location that makes you forget that you're in the middle of downtown honolulu. The street front businesses include Grondin, Ethopian Love, and Thai food restaurants; CJ marketplace, a barber shop, Chinese Jewelry and antiques, and more. Come see for yourself why this building was voted one of Honolulu Weekly's 5 favorite buildings in 2008. The Mendonca building has also been featured in various episodes of Hawaii 5-0 and a variety of major motion pictures. During the summer of 2015, Fox Studios will be filimg portions of the new Zack Effron movie in our building. Mendonca building is a magical location and is available to private parties, events, and film productions.For more information on availability please contact Arts at Marks Garage on our contact page. 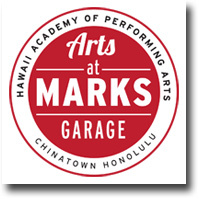 Hawaii Academy of Performing Arts (HAPA) is a 501c3 non-profit organization established for theater training in 1997, and a founding Partner of The ARTS at Marks Garage in 2001, founded Chinatown Artists Lofts with ten live/work units in 2010, and assumed full control of Marks from Hawaii Arts Alliance in 2011. To transform our community with the power of the arts, and establish Chinatown, Honolulu as the creative capital of the pacific. Free Exhibits: 12 annual community-driven exhibits in a 1,000 square foot gallery with FREE admission. Youth Programs: 130 classes a year of creative afterschool programs for at-risk teens. Performances: 100-seat black box theater with over 150 shows per year. Business Incubator: Collaborative workspace for 30 creative industries, individuals and nonprofits. 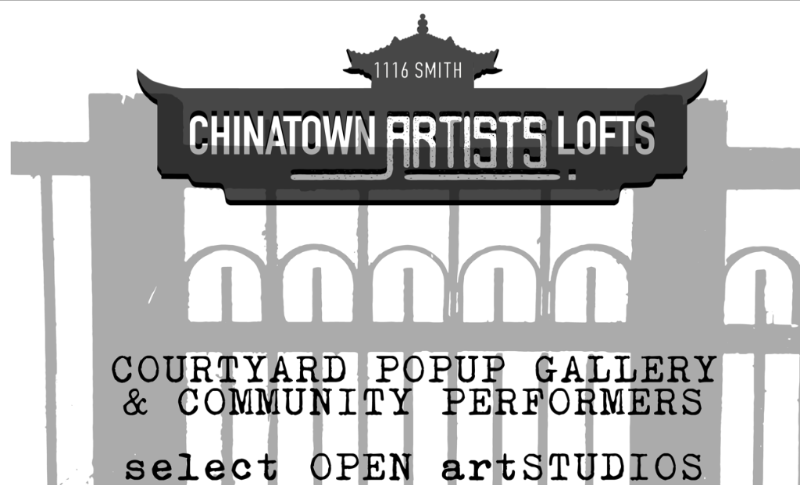 Artists Lofts: 13 multicultural & multimedia live/work spaces on Hotel Street. First Friday Honolulu: Chinatown's most popular event co-founded by HAPA staff in 2003. 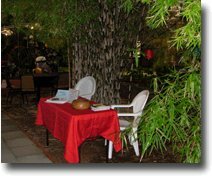 Visitor Center: Concierge for over 80 unique owner-operated neighborhood businesses. Get the details to become a vendor. Privacy - We value our relationship with YOU!. 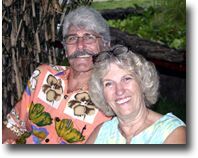 Your Email address is not shared with anyone except First FridayHawaii.com. You will be added to the "once a month" Kaimuki, Hawaii Email newsletter to keep you current and informed. If you would like to be removed, just reply to the Email confirmation with "DISCONTINUE" in the subject line. 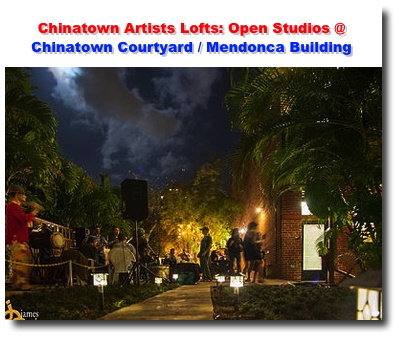 The Mendonca Building is a great venue right in the heart of Downtown Chinatown. 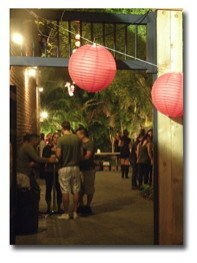 Excellent downtown venue for special events, artists and other opportunities. Also know as Mendonca Building Courtyard.